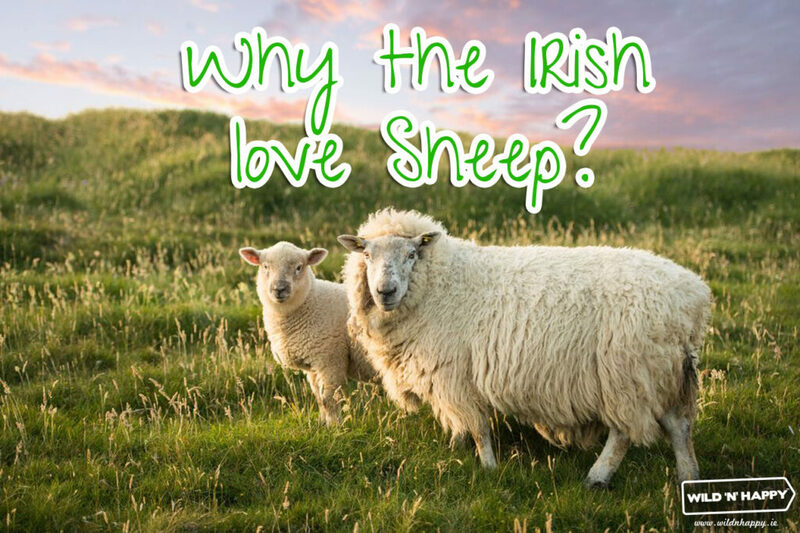 Why the Irish love sheep? Sheep are almost as significant to Ireland as Potatoes! As soon as you picture Ireland you imagine a luscious green field with of course a flock of sheep. 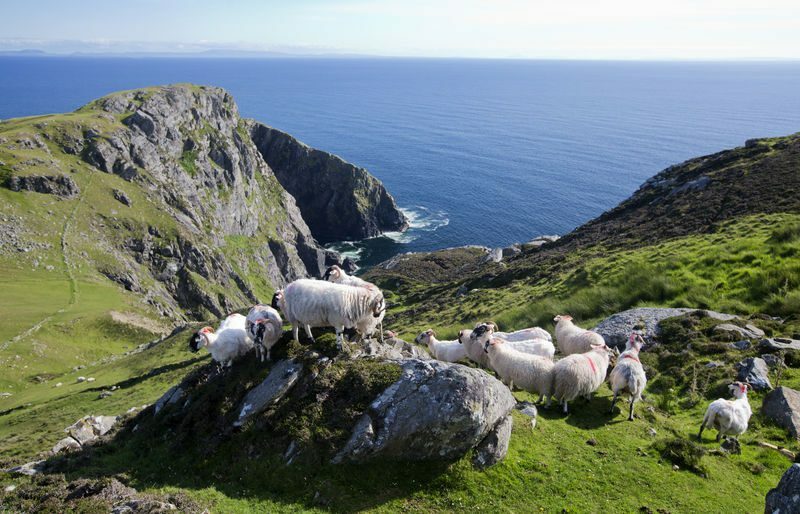 So much so that the Census in 2016 showed that there are more sheep in Ireland than humans! With the population of sheep at a whopping 5.2 million whereas the human population was just under 4.8 million at the time. Most of these sheep however are not native to Ireland with only a small number of native sheep bred in Galway. Most are Scottish Black-Faced Mountain sheep, which are white sheep with black faces. Perhaps the love for sheep comes from the fact that sheep have an amazing memory and can remember humans and other animals. The Irish are known for being very forgetful so perhaps they simply fill the void the Irish lack. They have amazing peripheral vision and can even see behind them without turning their head! For years their warm wool was used as one of the only resources to keep warm, whether it was used to weave clothes or as insulation. They kept the Irish warm from the brutal cold winter months. Some Farmers paint the backs of their sheep with a strip of usually blue or red paint and this is to identify different farmers sheep incase they escape or incase they are stolen by other farmers. They also use the paint marking around the rams neck and chest, this is so when the ram mounts the ewe it is easy for the farmer to know which ewes are impregnated and then they can be moved into a different farm. 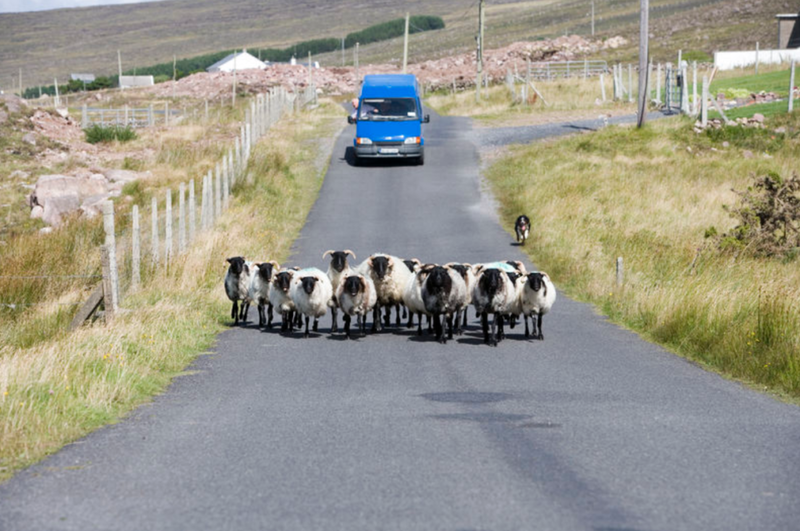 When you travel through Ireland, especially in Dingle and the Ring of Kerry, you will see a number of mountain sheep hanging out at the side of the road. Come join us for a unique experience, a sheep traffic jam!